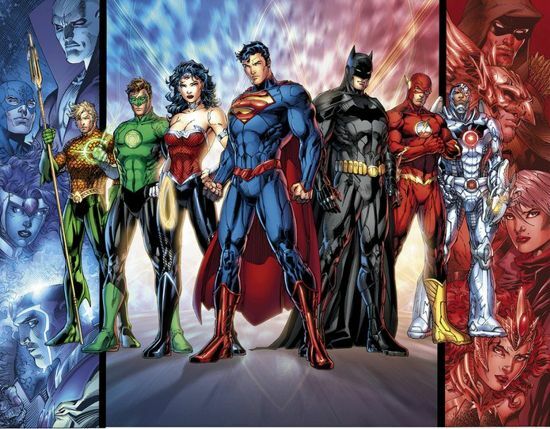 Justice League of America: What Does it Mean for DC? With the announcement that "2013" will bring a new Justice League of America ongoing title, most people will assume that DC seems to have confirmed long-simmering suspicions that there will be a new spate of cancellations and new titles coming imminently. A number of news and rumor sites have locked into January or February as the last month certain titles are likely to see the light of day, particularly with revelations like certain high-profile creators slated to leave titles with their sixteenth issues. What kind of ramifications does the Justice League of America announcement have for DC? First of all, it appears as though the Justice League International team is still unaccounted for; while there had been a great deal of speculation that Johns might take on a new version of the JLI or something like it in the near future, his decision to take on a second book with a "Justice League" banner, but to leave the JLI (and notably some Johns favorites like Booster Gold) homeless is an interesting one, and one that suggests we may see yet another Justice League title coming down the pike soon. Keep your eyes on this week's Justice League International Annual #1 for more on that, as it wouldn't be outside of the realm of possibility for DC to announce something on a last page "to be continued" page (that's how they announced the JLI series to begin with--as well as related stories; it's a practice that was used more than once in Booster Gold, for example). Geoff Johns is probably also in play sometime soon. It's unlikely he'll stay on all of the titles he's currently writing--Green Lantern, Justice League and Aquaman--as well as adding a fourth book in addition to his management duties at DC. Expect a change on one of his titles. Aquaman may seem like the obvious one for him to leave, since it shares characteristics with titles like Hawkman and Booster Gold, which he's revived from the dead and then left after a year. I wouldn't bet money on it, though; while he's told everyone who's ever asked that he wants to write Green Lantern until the day he dies, don't be surprised if Johns decides he only needs one Justice League book a month, especially if the persistent rumors that Jim Lee will leave the book turn out to be true. It's also likely worth noting that a few old Justice League Task Force books have hit ComiXology recently. Whether the new Johns series will be taking cues or characters (it featured guys like Nightwing and Triumph in addition to Justice League fixtures like Martian Manhunter) from that old series remains to be seen but it seems an unlikely coincidence. The addition of a number of embattled characters to this team may have ramifications for some of their titles, too. Catwoman will likely hang on for a while without Judd Winick, but it's hard to imagine that there's nothing telling in both she and Green Arrow coming onto this title. Even if their books are kept alive (because of their high profile in other media) it seems impossible to put both of them on a book together and not cede some control of it to Ann Nocenti, who writes both of their monthlies. Maybe that's the long-term plan--killing those titles and giving this one to Nocenti in six months so Johns can do something with the JLI guys. Hawkman may well be toast. Detective Comics artist Tony Daniel left the book a while back, with Rob Liefeld and Joe Bennett tasked with "stopping the bleeding." Unless DC has a backup plan and a very good reason for giving it a third shot, Liefeld's abrupt departure may be the last straw for the sales-challenged title. And what about Stormwatch? If Rob Liefeld is to be believed, the WildStorm characters lost quite a bit of relevance when Voodoo was cancelled and a planned Daemonite-centric crossover with the Superman books was axed. The publisher kept pushing Stormwatch as a series that would define the new DCU in the early days of the New 52, but we haven't heard as much of that lately and losing a key member could be a bad sign. Of course, in the first issue of Stormwatch, J'Onn was referenced as having been a Justice Leaguer in the past, so maybe the Justice League of America relaunch will be a continuation of an existing relationship between Stormwatch and the U.S. government. And then of course there's the question of Trinity War, DC's upcoming crossover event. While little has been given in the way of details, this new title now makes it pretty obvious that the big "fight scene" that folded out in DC's Free Comic Book Day title was in fact the Justice League facing off against the Justice League of America. The involvement of Black Adam or Shazam (whichever one that is in the black, fighting with Deadman) and Deadman throws into question whether Justice League Dark will be in on that party as well, or whether it's just a matter of Deadman finding loyalty with one of those two teams. He, as well as Element Woman, have yet to find a home in a mainstream superhero book after being included on a piece of Justice League teaser art prior to the launch of the New 52. Equally intriguing is the idea that, if that piece of art is to be believed as a guide, characters like Firestorm and even Aquaman's wife Mera might step in against DC's big seven heroes of the Justice League before all is said and done. Whether a title like this can sustain itself is a whole other question; the idea of a B-list Justice League without anyone aboard it to elevate its profile (Green Arrow and Catwoman aren't A-list, even if people know who they are) is a questionable prospect at best in today's market. Back when Keith Giffen and J.M. DeMatteis launched Justice League (later Justice League International), they recognized the challenges of a project like this and made it a character-driven book with a lot of humor. That's not something Johns has really shown a propensity for doing; all of his titles seem to eschew character development for plot movement and tell big, sweeping action stories. Rare exceptions like Booster Gold and Aquaman will allow for some character growth, but still tend to fall back on big action set pieces at the end of the day.